Who said that moving overseas has to be so hard and stressful? When you think about it, living in a foreign country can be the most exciting thing; you will meet new people; you will learn about different cultures, which so many people love. There is nothing more thrilling than living in a new place where you have never been before. You will experience so many new things, which is really exciting. Contrary to the overall opinion that moving abroad creates a lot of stress, as you can see, it can be the best experience you have ever had. However, before you get to your new life, there are some steps which you have to go through. What most people are concerned about when moving overseas, is their belongings. Of course, there is the inevitable question: 'What to take with you in the foreign country?' Many people wish they can take all their possessions, but that is hardly possible, so you need to say goodbye to some of your most precious belongings. The next question related to overseas removal is how to transport your stuff. Surely, there are many moving companies which you can rely on to ship your luggage, but how to find the best ones. It's not pleasant when we lose items or find them broken. Unfortunately, such situations are not excluded when shipping your stuff overseas. In order to avoid such an undesirable experience, you need to find a good and reliable moving company. If you want to be sure that moving overseas will not affect your budget that greatly, you have to find an overseas shipping and moving company which offers the lowest rate. How do you do that? Well, there is one very easy way - use the Internet. 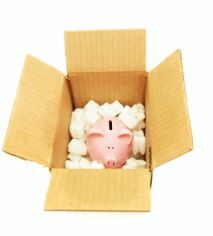 There are a number of websites which can give you a valuable information about overseas moving and shipping rates. You can use the information to compare the prices that each company is offering you and thus choose the one that best fits your budget. If you want to make moving even more cost-effective, you can try to find a moving company, that has a base of operation in your destination. This will definitely decrease the costs you have to pay. For some people getting the best services is much more important than paying less. If this is the case, you can choose a moving company based on the shipping conditions they offer you. In other words, look for a company which can offer you customized shipping for your belongings. In order to protect your belongings from damaging, some companies will separate your luggage into different categories, which certainly will cost you more money. However, if your belongings are really important to you, you will want them to be fully protected. Other people are still looking for the fastest services they can get. If you have to move as quickly as possible, you may consider basing your decision on the speed of the service. The good news is that some moving companies may deliver your possessions on the day of your arrival. This way, you don't have to wait a couple of days to receive your stuff. What would be even better is to receive your belongings before you have arrived, and there are moving companies which can offer you that option. Finding the right shipping and moving company can be complicated especially when this is the first time you are dealing with moving overseas. However, you can choose a moving company based on the three points given in this article. Decide which one is most important for you and select the company that can offer you the option.